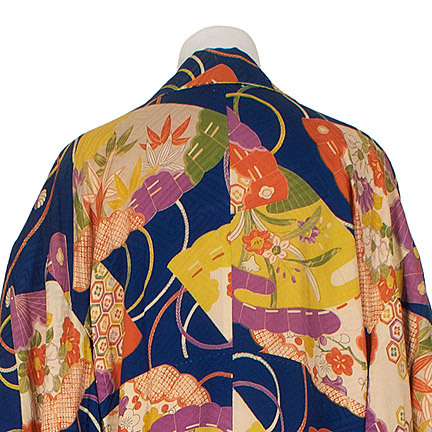 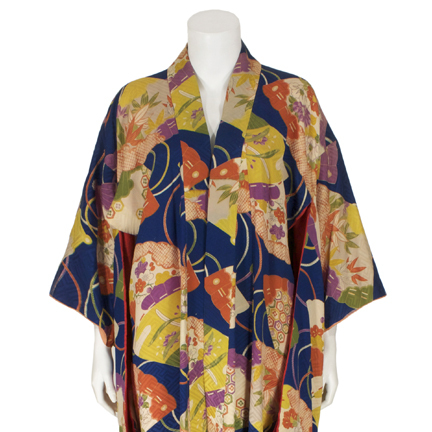 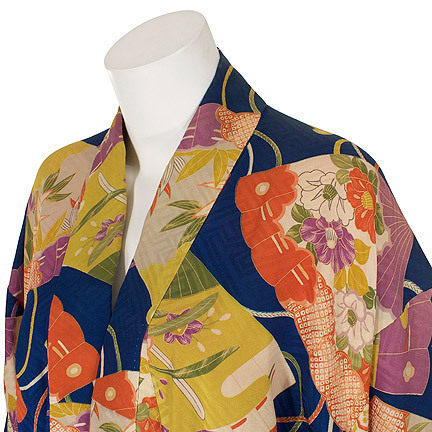 This Japanese kimono was worn by the character “Cherie Currie” portrayed by actress Dakota Fanning in the 2010 motion picture “The Runaways”. 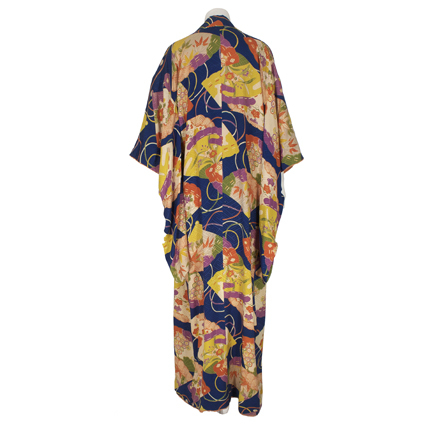 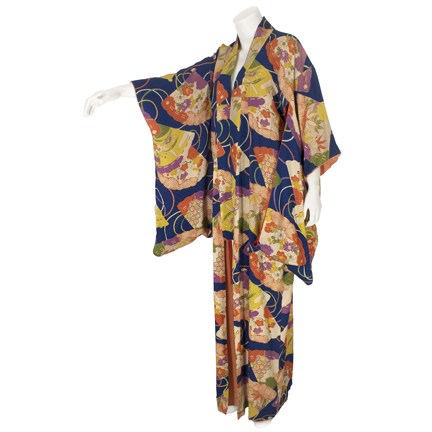 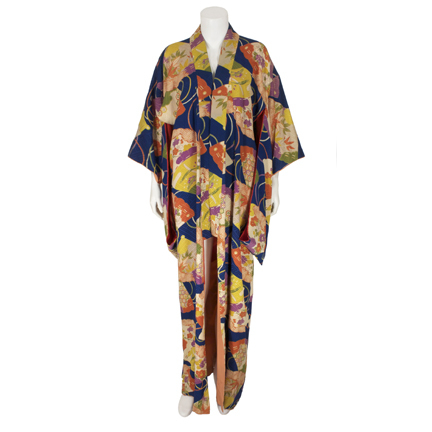 The floor length vintage kimono is constructed of fine silk and has a multicolored floral pattern and a interior red lining. 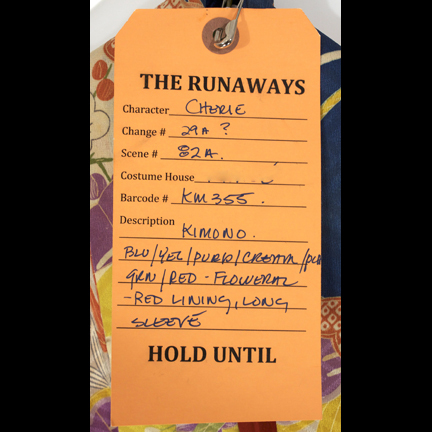 The original costumer’s Hold tag is attached listing character name “Cherie” with garment description and assorted production notes. 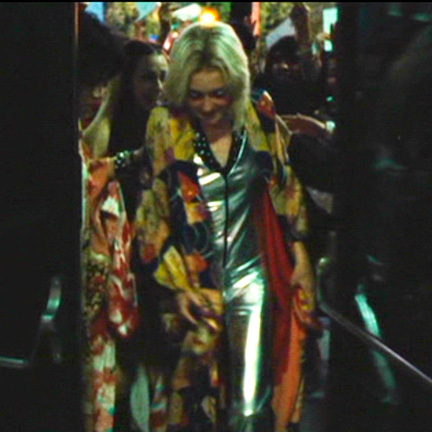 Ms. Fanning wore the kimono during the sequence when she and her fellow members of “The Runaways” first arrive in Japan and are greeted by screaming fans and security guards as they attempt to exit their limousines.